Self driving cars can also be classified as autonomous or self-driving cars which operate automatically without any human input. Autonomous cars resemble all the major competencies of conventional cars. Rising road accidents and technological advancement are the key factors that lead the manufacturers to develop safer and more efficient transport system. Moreover, autonomous cars will reduce the fuel cost and insurance cost which will help the self driving vehicles market to grow exponentially. Majority of car manufacturers are looking forward to develop and commercialize self driving cars in nearby future. 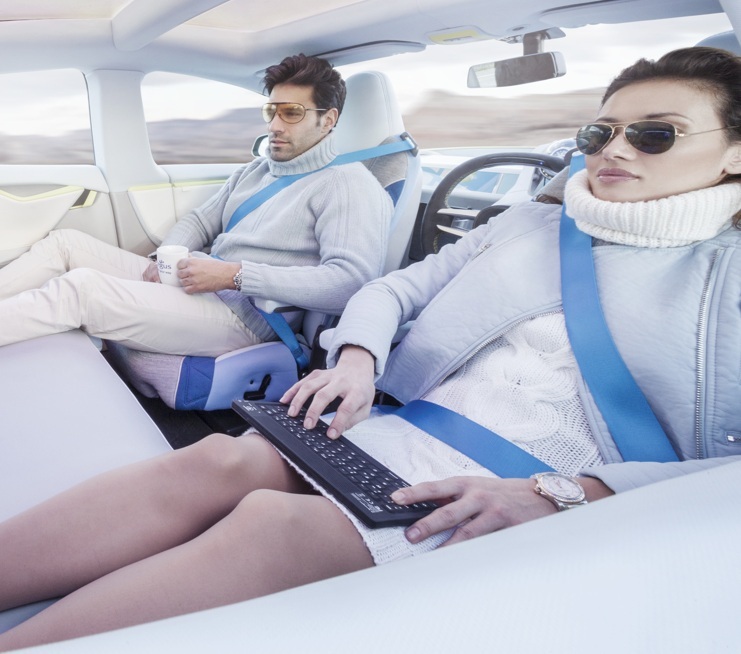 Emerging advanced technologies and rising demands for vehicles across the globe led the majority of vehicle manufacturers to participate in the self driving personal vehicles market. In Middle-East major economies significantly spending on safety campaigns and infrastructure as toll of deaths in road accidents is rising. In UAE, there are 12.7 road deaths per 10,000 people, with 24.8 in Saudi Arabia, 14 in Egypt and 13.2 in Qatar. From past few months, the UAE has been running several trials of self-driving technologies with aim of reducing road accidents and reducing traffic congestion. Dubai government in 2016 announced to make 25% of its transportation to be autonomous by 2030. Rising death rates in road accidents and surging needs of autonomous vehicles to increase the road safety are key factors driving the market of autonomous vehicles market. Autonomous systems allows the vehicle to sense their environment and they can move with other vehicles in closer range which results in, smoother traffic and better fuel efficiency. Autonomous cars will significantly change the lives of physically disabled and aged population, which will play a significant role for the market growth. Advancement in autonomous vehicle technology will drive the market growth of autonomous vehicles market in Europe and MEA regions. More than 1 million of vehicles with some autonomous level are expected to be in use by 2035 in Middle East regions. Initiatives taken by the gulf countries are going to influence the market growth, Dubai announces to change its 25% of vehicles to be autonomous by 2030. Self driving vehicles are going to be a part of Saudi's USD 100 billion mega project: King Abdullah Economic City. The city will be accounted for the advanced technologies like IOT and self driving cars. Such projects and initiative will provide boost to self driving vehicles in the region. However, for the deployment of autonomous vehicles major challenges like risks for software and cyber-security needs to be overcome. Additionally, federal guidelines and regulatory standards continue to be major challenge for the self driving vehicles market players. Also, the high cost of driverless cars and the adoption of technology by the consumers who love driving conventional cars will hamper the growth of market. Moreover, autonomous vehicle manufacturers will need to ensure the safety of the systems from cyber attacks. Concerns regarding hacking/security of the internet connected cars are the major challenges for the market players that can affect the market growth adversely. By 2035, Middle East is estimated to account for more than 1 million autonomous vehicles by 2035. UAE government bought 200 Tesla's autonomous taxis in January 2017, for testing purpose on Dubai's road. Saudi Arabia is looking forward to provide autonomous taxi services in Dubai by 2020. Moreover, the Middle East self driving vehicles market is expected to grow at a CAGR of more than 55% over the forecast period. Abu-Dhabi and Saudi Arabia are expected to dominate the self driving market in Middle East. Favorable policies and projects will boost the growth of self driving cars in Gulf countries. Autonomous vehicle manufacturers are making remarkable progress in trucking technology, with expected mass production in next 10 to 12 years. Autonomous trucking technology can significantly create economic and social value for GCC countries. The technology will help country by reducing its reliance on immigrant labor, improved road safety and will help in creating digital technology jobs and companies in the region.